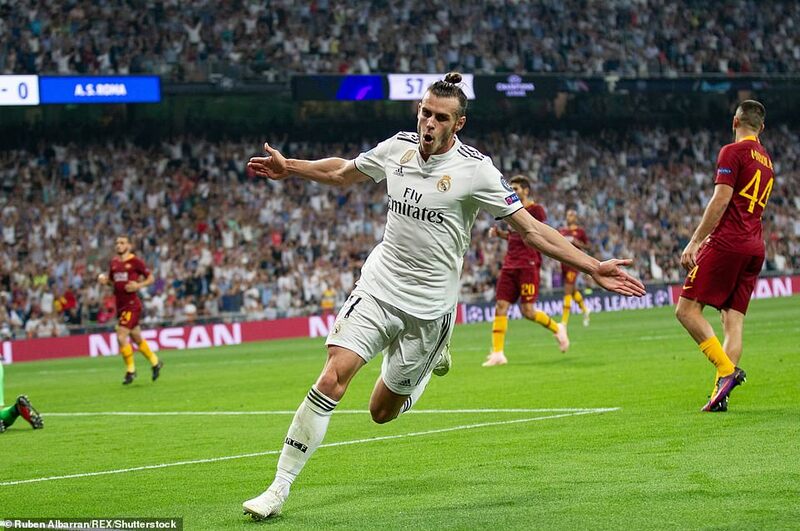 Cristiano Ronaldo may have left Real Madrid but Gareth Bale, Isco, Toni Kroos and Luka Modric haven’t and after this 3-0 win over Roma it seems safe to say they are going to be okay in the Champions League this season. Isco and Bale both scored while Kroos and Modric ran the match from midfield. There was even a late goal for new signing Mariano Diaz putting justifiable distance between the two sides. 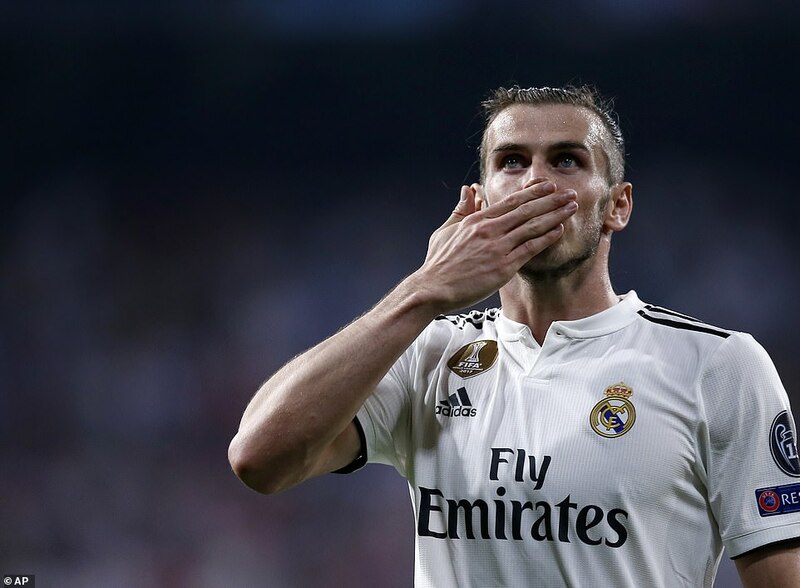 Real Madrid’s only crime was having been a little too anxious early on snatching at chances and allowing Roma to stay on level terms for far longer than they deserved. It took Madrid 17 efforts on goal before they finally scored on the stroke of half time. Isco curled a free-kick over the Roma wall and past Robin Olsen. The Spanish midfielder had won the foul after a clumsy challenge from Daniele De Rossi and it was over De Rossi’s head that his free-kick sailed. With Ronaldo in the team Isco would not have got anywhere near the set-piece but free-kick duties are shared out more these days and with the ball close to the edge of the area Isco’s subtler skills meant he got the nod over Bale and Sergio Ramos. Before the goal Madrid had laid siege on Roma, taking turns to test Olsen, find the side netting, or startle spectators behind the north goal. N’Zonzi would have Roma’s first shot on target but it trickled into the arms of Keylor Navas back in goal for Thibaut Courtois who, it seems, will have to make do with La Liga matches this season as serial Champions League winner Navas keeps his place in goal in Europe. Ramos’ header was tipped over by Olsen from Kroos’ corner eight minutes before the break and the keeper then turned Isco’s shot around his post. It seemed like it was just going to be one of those halves when Isco struck right on 45 minutes. Navas saved well from Cengiz Under and he got down well again just after the hour mark to keep out Aleksandar Kolarov’s fierce drive but by then Madrid were two up. Bale had already shaken the crossbar with one effort from close range. When Modric sent him galloping clear with a pass into space. Bullet Train Bale took one touch before firing it past Olsen. Mariano Diaz came on for Bale with 20 minutes left and set up Kroos whose shot was pushed on to his bar by Olsen. He then saved from Marco Asensio who pirouetted in the area before getting his shot away. Roma’s goalkeeper had been their best player but he could do nothing about Mariano’s late third. Coming in off the left touchline and firing right-footed into the far corner used to be Ronaldo’s favourite trick. The magic is in different boots now but Madrid still have it in abundance.